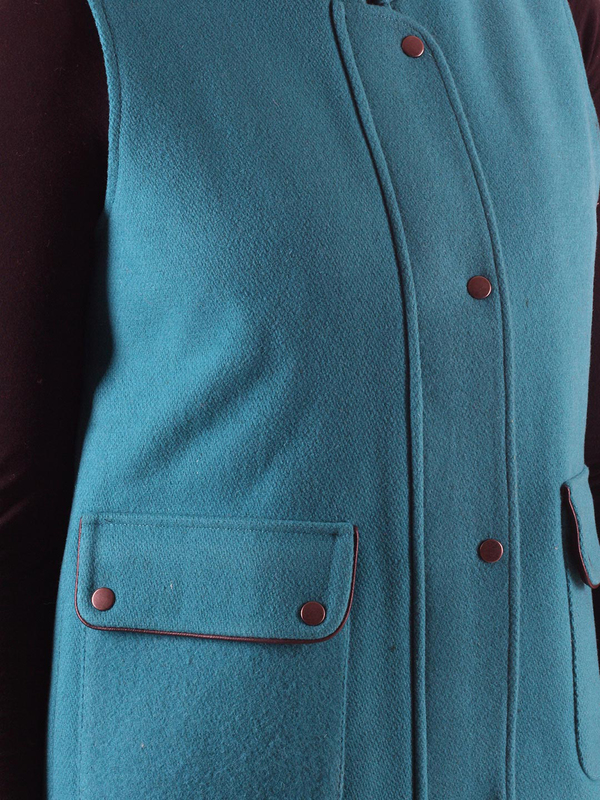 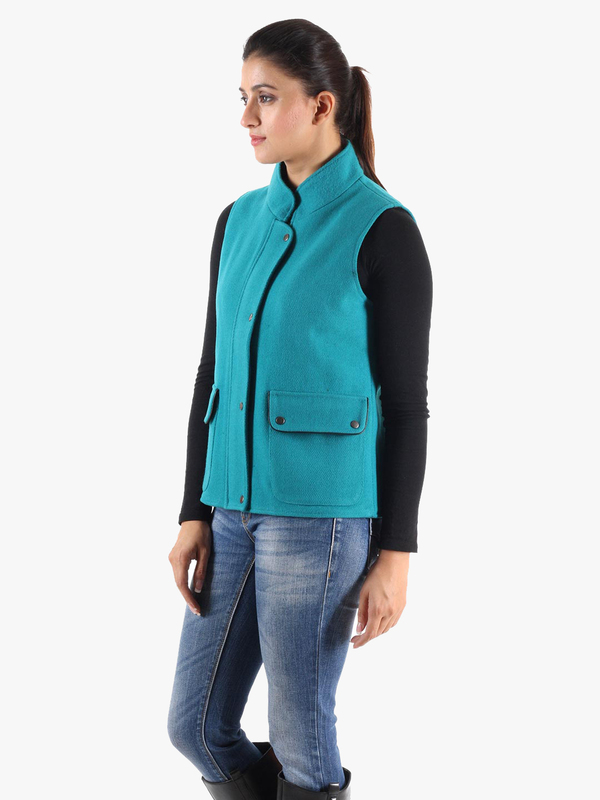 Women teal colored wool jacket should be your permanent resident of your wardrobe this season. 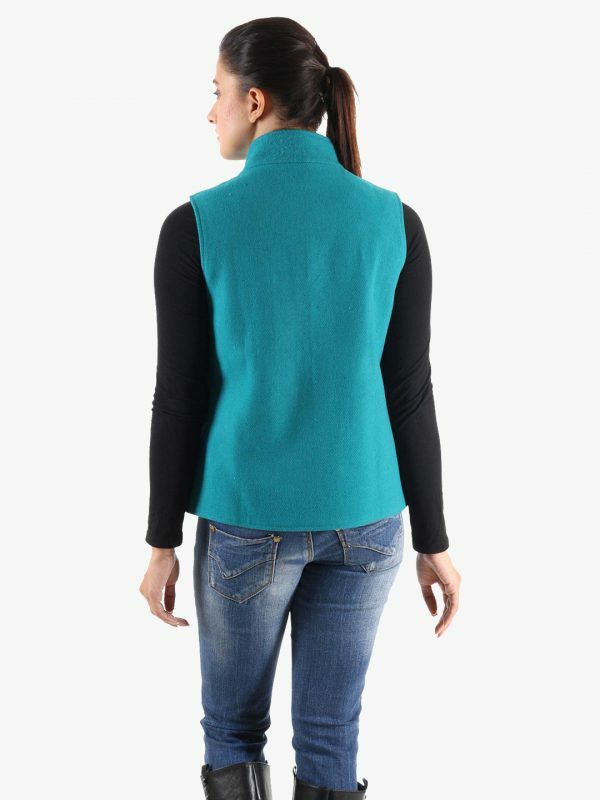 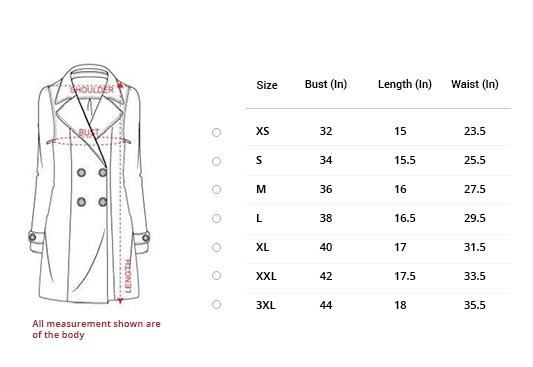 Featuring high neck, half sleeves, front pockets and buttons as fastener. 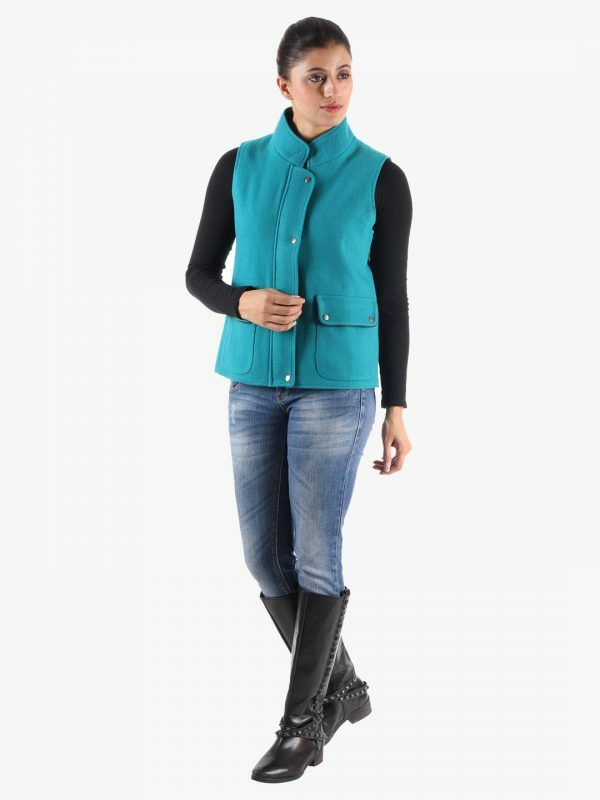 Pair it with black jumper, denim bottom and brown boots to complete the look. 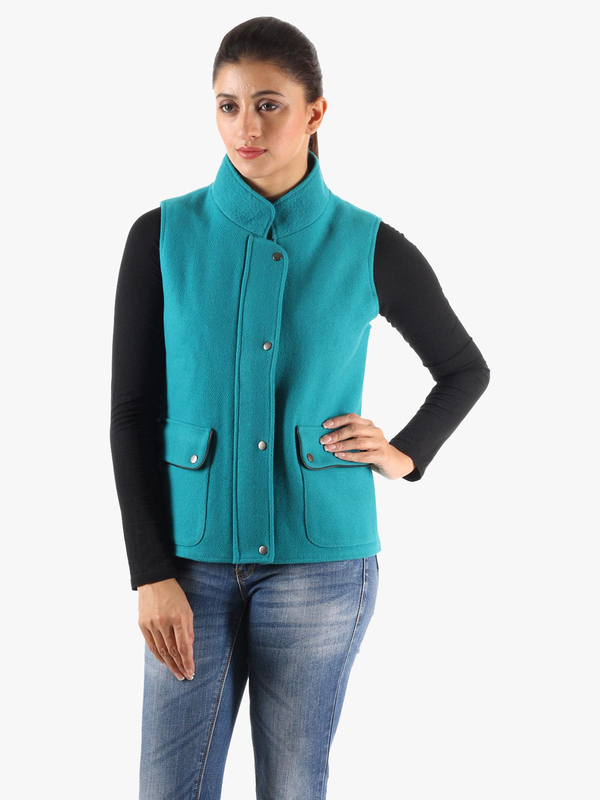 Go and dress a bit out of the box and look aquatic!